Why care about a thriving future. Why you and we must care about a surviving and thriving future for you. Your family. Your community. Your country. Our world. You and all of us want and need this future because of our endangered future and our human need to survive and desire to thrive. What drives us is that a person and a people need to survive and desire to thrive in the current world and a sustainable future world. our future world must be sustainable and sustained to fully meet our need and desire. For these reasons, building, achieving and sustaining this future forever (to the maximum extent possible) for you, your family, your community, and our world is the human endeavor and the ideal. This is why you and we care about this future. What future must you and we build, achieve and sustain? 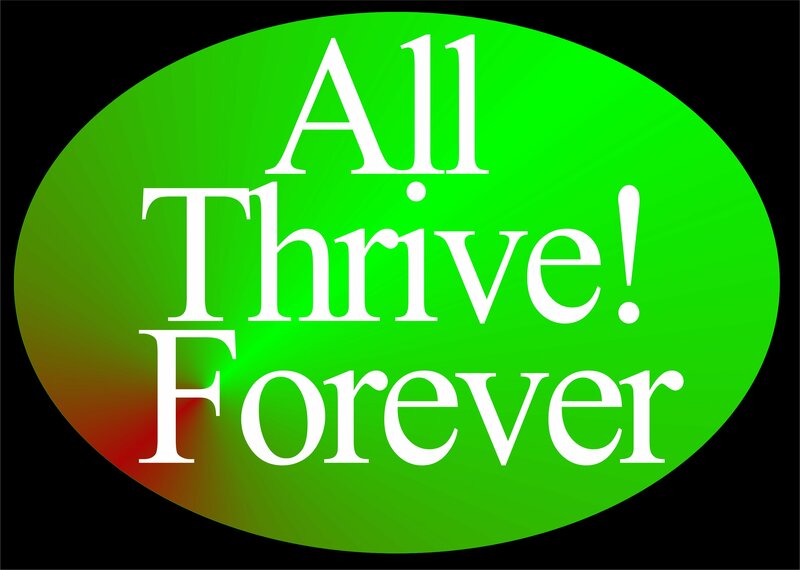 All of us, almost without exception, want to thrive. This is the best future for you, your family, your community, and our world (including Earth on which we depend).